Jin’s Spotify list: Jin’s GA CHI DEUL EUL LAE? – Jin was an exchange student in Australia, during his middle school year. – In 2015 Jin was nicknamed Car Door Guy (from coming out the door and stunning fans with his visuals). 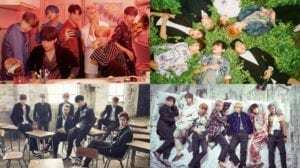 – Jin is also known as that “third guy from the left” (After BTS participated At Billboard Music Awards). – He’s from a well-off family. His father is the CEO of a company. – Other members said that Jin has the longest legs in BTS. – He’s very confident about his looks, especially about his tick lower lip and his broad shoulders. – He revealed his shoulders are 60 cm wide. – He is also known for his “traffic dance”. – Jin speaks Chinese (Mandarin) and basic English. 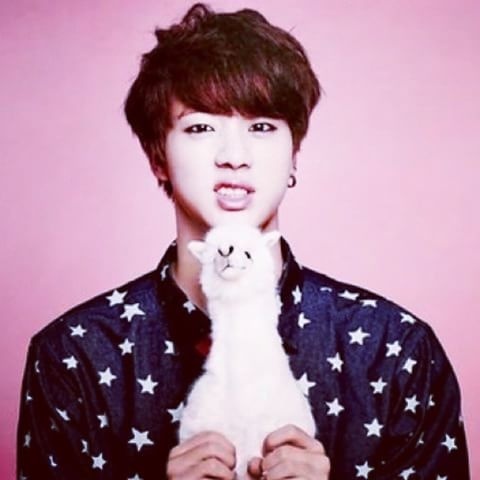 – In the old dorm, Jin was the member usually in charge of cleaning up. – He started playing Super Mario when he was five years old and Maple Story in seven grade and still plays them. – He really love Super Mario toys that he even asked his friends to buy him one. – He can open a bag of chips with his feet. – His favorite food: lobster, meat, Naengmyun (cold noodles), chicken and greasy food. 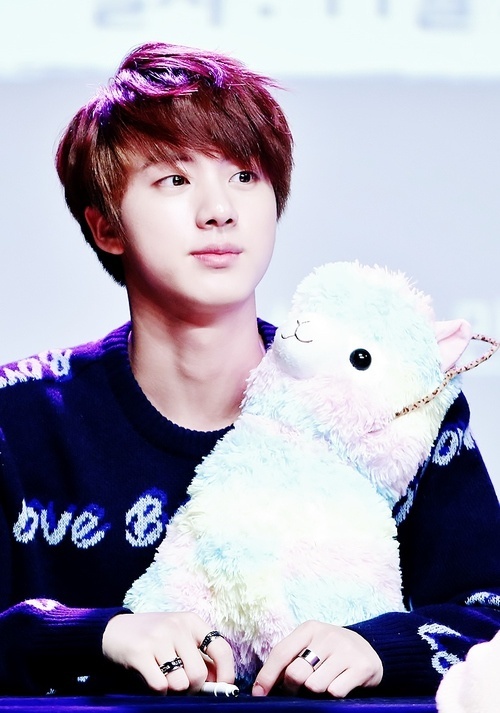 – Jin favorite items are: Maple Story action figures, Super Mario action figures, Nintendo games. – Jin and RM used to be the least skilled dancers in BTS, but they improved a lot. – He wears really strong prescription glasses but he doesn’t like wearing them because he’ll become insecure. – For Jin, his charms is his full bottom lip. – Jin can play the guitar and the piano. – Jin is really good at snowboarding. – Jin has a habit where if he makes eye contact with anyone for more than 3 seconds, he winks at them. – If he’d get a day off, Jin wants to have a servant. He’d want Suga as his servant so he can order him around. – Jin can’t watch horror movies. When he once decided to watch a horror movie during his first year in college, ended up clinging to the person next to him. – If Jimin had to go with a member during spring he’d choose Jin because he’s funny to be with. – Jin and Jungkook bicker a lot. A taxi driver once thought that Jungkook and Jin are twins because of their non-stop bickering. – He likes strawberries, but he doesn’t like strawberry flavored things. – Jin said that looking at bugs isn’t scary, but if they get on his body, that’s really scary. – Jin used to work at a strawberry farm. – Jin got two pets that are sugar gliders and their names are Odeng and Eomuk. He got those while searching for Suga on the Internet, but sugar gliders popped up instead. – Jin sang the OST of “Hwarang” alongside V, which is Part 2 – “It’s Definitely You”. – In 2017 after BTS attended Billboard Music Awards, Jin got a lot of attention (internationally) for his good looks. – In the old dorm Jin and Suga used to share a room (Suga said that Jin is perfect as his roommate). – Jin is ranked 47th on TC Candler “The 100 Most Handsome Faces of 2018”. How much do you like Jin? Do you like Jin? Do you know more facts about him? Feel free to comment below. 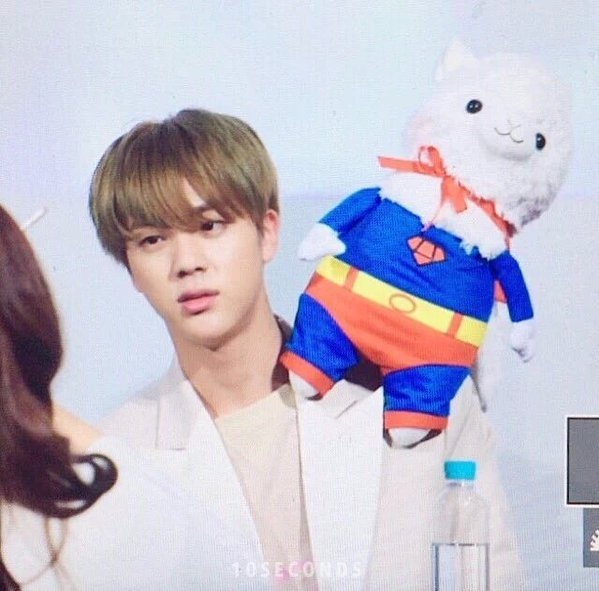 is it true that jin will leave bts? I also read that rumor but I don’t think it’s true! I think it’s just a rumor! I HOPE! Jin is not worst at dancing. Jin and Namjoon were improving. do remove the pink princess nickname, it’s 2017, stop misgendering him just bc he likes pink, remember he mentioned “pink is for real men” in his cooking diary and do update a bit, he’s changed a lot in these 2 years, he’s the fake maknae, also the uncle cuz he likes dad jokes. I thought he said his eyes are the most attractive. And now his new nick name is the fake maknae, or the madnae etc. I FELL in love with JIN! I LOVE JIN SOO MUCH!!! 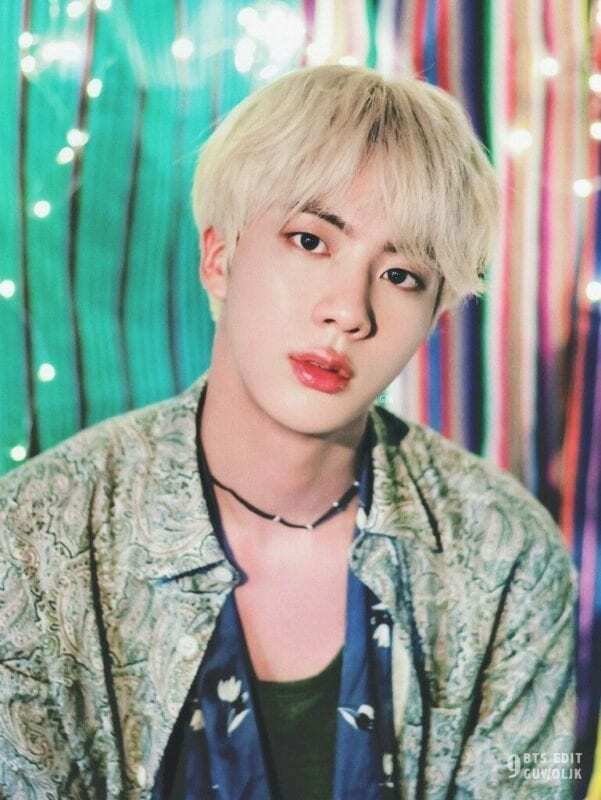 He caught my eye in Dope so I would immediately look for him (or at that time atleast try to distinguish him from the others) then evil-blonde Jin in Fire sealed the deal. Discovering how lovable and dorky his on screen personality is made me fall for him all over again. 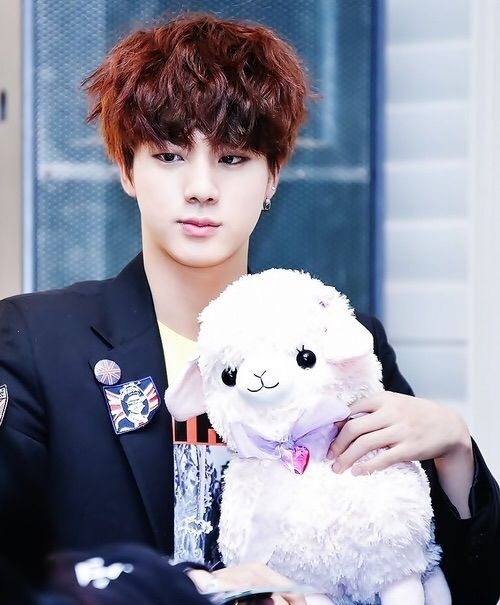 My heart aches for how little attention he gets from his lack of screen time and lines in songs, he feels somewhat neglected within the group and the empty title of “Main Visual” pains me even more, but that just makes me support Princess Jin in his growth on improving his skills as an actor, singer, and dancer. Jin’s famous line was ‘hey stop it’ and he always do flying kiss. They all have to leave at one point. JIn will leave first since he’s the oldest. ever heard of enlistment? Just search up Jin enlistment. 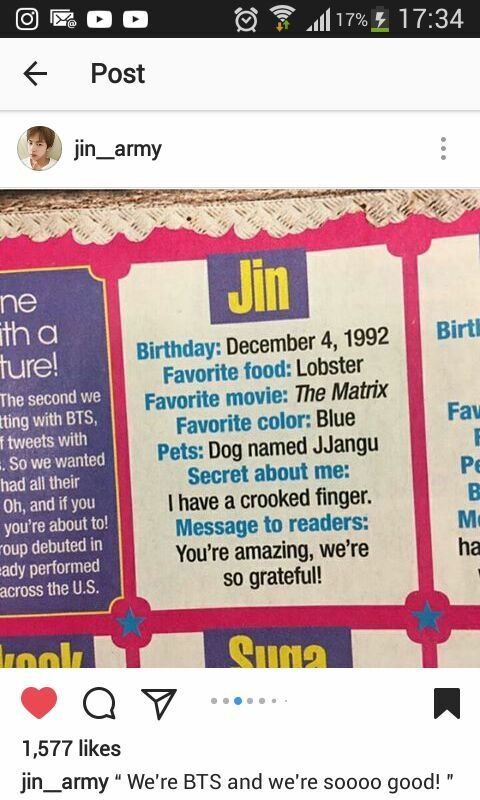 Proof for Jin liking Disney princesses? Is it just because he used a Disney princess hand fan that ONE TIME? He’s expressed that he doesn’t like being called ‘princess’ on a Japan fan meet because he says he’s a boy. Japanese fans call him ‘prince’ now. not only that. J-Hope also called him Princess. I have never guessed that he’s the ub for those many people! I feel like a proud mommy right now. I think if I listed the things we don’t have in common it would be shorter haha. like a cow giving birth ;p ). I love coffee,cats,anime,music aaand,boba. shirt from my closet, a sweater, and vans. I’m short,insecure and weird. he is called the “group’s dancing machine” in a sarcastic way, because he, along with Rap Mon are the worst dancers in BTS. 1. The first ever album that Jin bought was Girls Generation. He’s also from a well-off family. His father is the CEO of a company. I don’t know if you added this yet but just wanted to make sure. That is also written in the profile. Oops, just read over it again and realized it was. I don’t know how I missed that the first time. Sorry. He is the first idol to recieve a 100 million hearts during his SOLO vlive. Jim posses golden ratio (1:1.618) scientifically proven. Fans/People said that he looks like Jisoo from BlackPink. In weekly idol ep 345 , Moonbyul (Mamamoo) said that they had group chat 92 liner. 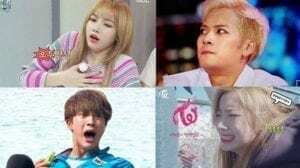 There is BTS Jin , VIXX Ken , B1A4 Sanduel & Baro and EXID Hani. Moonbyul also mentioned that Jin and Sandeul are the person who always make the chatroom interesting in Kim Shin Young’s Hope Song Radio. Jin speaks English, but he isn’t fluent in it. Do you live in 2013? The members always tease but they all know they are all talented and they not work the hardest to be called “the worst dancers”. Jin used to study in Australia as an exchange student when he was younger. Jin was an exchange student in Australia, therefore, he can also speak some English. THAT’S NOT TRUE. THE PERSON WHO EDITED HIS TOE IS A BIG BULLY. She did lot of problematic stuff in the past and didn’t even defend Jin when needed. Now she is spreading misinformation in the name of “joke”. It’s not true dude. You don’t even see? Its edited. I have that picture in my phone then looked. IT’S FAKE.